Die-hard Disney fans believe that ultimately, they know everything about their favorite princesses. And indeed, most of them know quite a lot of Disney Princess facts! No wonder; Disney Princesses have lately gained a lot of popularity via both media and the Internet. 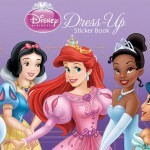 Movies, games(access our section of Disney Princess games to find more), cards and colorful cosplay posters. How could possibly a Disney princess keep her little secrets with such a tremendous and loyal fan base?! Nevertheless, we assure you that there are still a lot of things to discover about Disney princesses. That is why in this article we brought you the top 15 most incredible Disney Princess facts you surely didn’t know about. Let’s start! 1. Ask any Disney fan who is the princess with the longest hair, and you’ll be answered that it’s Princess Rapunzel. Clearly, what other Disney princess is able to let someone climb into her tower using her long, flawless hair? But after Rapunzel cuts her hair short, Princess Jasmine from Aladdin movie becomes the Disney princess with the longest hair! 2. Speaking about hair length, did you know that after Rapunzel cuts her hair short, she actually becomes the Disney princess with the least long hair? 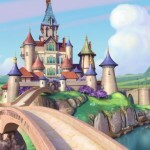 You can assure yourself by watching the short sequel Tangled Ever After. 3. Unlike Fa Mulan, Pocahontas is the first and only Disney princess that is based on an actual historical figure, instead of traditional folktales. Her real name was Matoaka, and Pocahontas was only a nickname. She did change it when she converted to Christianity, though. 4. Wanna hear what name did Pocahontas bear after she had accepted Christianity? Well, here you are, it was Rebecca. Fairly Christian, huh? 5. As you know, Disney princesses are all looking for their great love. Merida is an exception, though. She is looking for her mother, that was turned into a she-bear, unfortunately. 6. Princess Aurora, from Sleeping Beauty, is considered to be the quietest Disney princess. She has only 18 minutes of screen time and 18 lines of dialogue in the whole movie! 7. One of the most detailed thing from all of the Disney movies is… Merida’s hair. She has more than 1500 individual sculpted, red strands that generate about 111,700 total hairs! 8. Pocahontas Disney movie was released on June 23, 1995. It coincided with what would have been the four-hundredth birthday of real-life Pocahontas. 9. Mulan and Tiana are the only left-handed Disney Princesses. 10. The first Disney’s animated film was Snow White. That makes Snow White the first official Disney princess. 11. Have you ever thought what Walter Disney’s favorite parts in his animated films are? Well, his favorite one was the magical transformation of Cinderella’s dress. It is charming indeed. 12. Princesses also have a birthday! According to the Disneystrology book, Snow White’s birthday was on the 6th of March. Don’t forget to prepare Snow White a cake for that occasion. 13. Princess Ariel is considered to be one of the most famous Disney princesses from all the times. Mostly, it is because of her being the only official Disney princess who is not born human. 14. Belle is the only one in her town to wear blue. This is symbolic of how different she feels from everyone else. Later, Beast is also seen to wear blue. 15. In the animated film Lilo & Stitch, Nani has a poster of Princess Mulan in her room. If you enjoyed the reading and you are curious to discover even more Disney Princess Facts, you should know that there are also some other not so famous Disney Princesses that most of the people are not aware of. 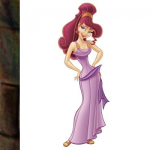 Read this article to find out more about the Forgotten Disney Princesses!